Windows 8.1 will be out in a few days . Starting October 18th everybody will be able to purchase windows 8.1 . For people who already have a legal copy of Windows 8 , They can upgrade to windows 8.1 for free from the Windows app store . If you already have a legal copy of windows 8 then you can skip the wait and get your hands on the RTM version of Windows 8.1 . once you download the Windows 8.1 RTM , you can use your windows 8 serial key to activate windows 8.1 and use it before everybody else . Currently the RTM versions of Windows 8.1 are not officially available for everyone , except developers and students with a MSDN or Technet subscription. If you’re geeky enough , you can easily get your hands on a copy of the RTM version of Windows 8.1 online . There are many free programs out there which can help you to create a bootable windows 8.1 USB Flash drive . For this guide I would be using Rufus , because its very small and faster than all the other programs to create a bootable Windows 8.1 USB Flash drive . Follow these instructions to create a bootable windows 8.1 USB flash drive . Step 3: For partition scheme . Select “ GPT partition scheme for UEFI computer “ if you have a UEFI enabled Bios , otherwise select “ MBR partition scheme for BIOS and UEFI computer “ . 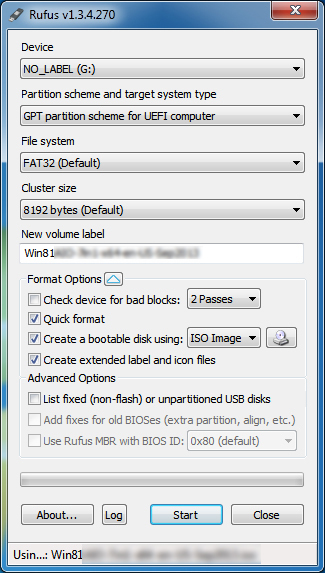 Step 4: For file system select Fat 32 if your windows 8.1 ISO file size is below 4 GB else choose NTFS . For a UEFI bios it is compulsory to have a FAT32 file system . Step 5: Leave the cluster size at default and check the quick format option . Step 6: check “ create a bootable disk using “ and select ISO image and select the Windows 8.1 RTM ISO image . Step 8: Now click on start to create your bootable Windows 8.1 USB flash drive . Once your bootable windows 8.1 USB pen drive is created , you can then process further with installing windows 8.1 on your PC . 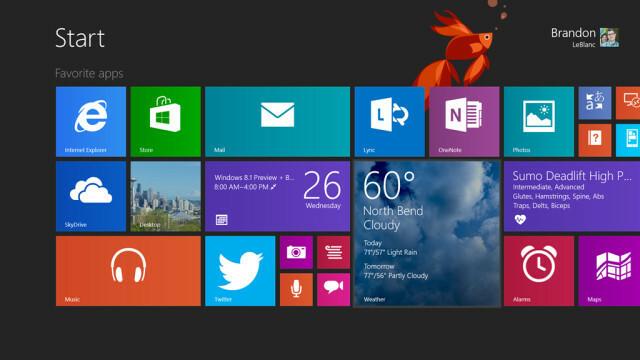 We will do a detailed guide about installing windows 8.1 very shortly .